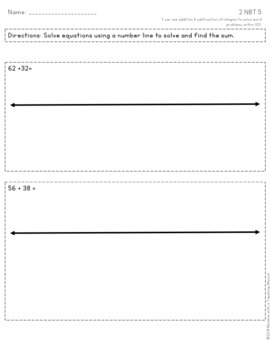 Not sure where to start in teaching your students how to add?! 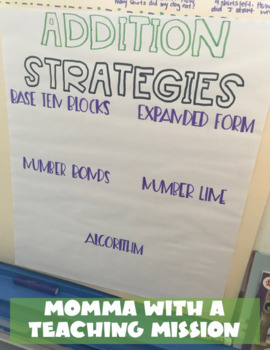 Follow my steps of introducing different addition strategies based off concrete and then building to abstract! 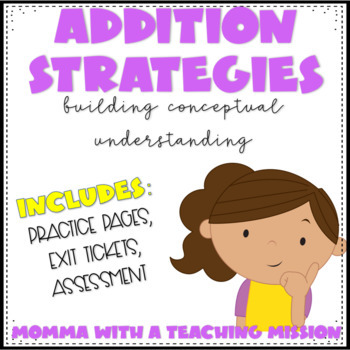 Check out that blogpost----> Addition Strategies to build Conceptual Understanding. 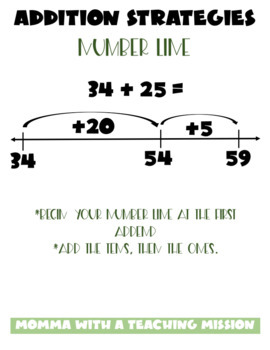 These activities walk students through 4 different strategies of how to solve two digit plus two digit addition equations (with and without regrouping). Also included are 10 different posters to show the 5 different ways to solve (one for regrouping and one for no regrouping). There are 2 full sheet practice pages per skill (8 total pages) and 4 1/2 sheet exit tickets (8 total pages), and 6 pages for assessment (2.OA.1, 2.NBT.5). Interested in other 2nd grade activities? !